This simply means to realize that you are loved, that’s all. Love is not an act, it is what you are; your state of being. When you are calm, serene and subtle, that’s what it is. 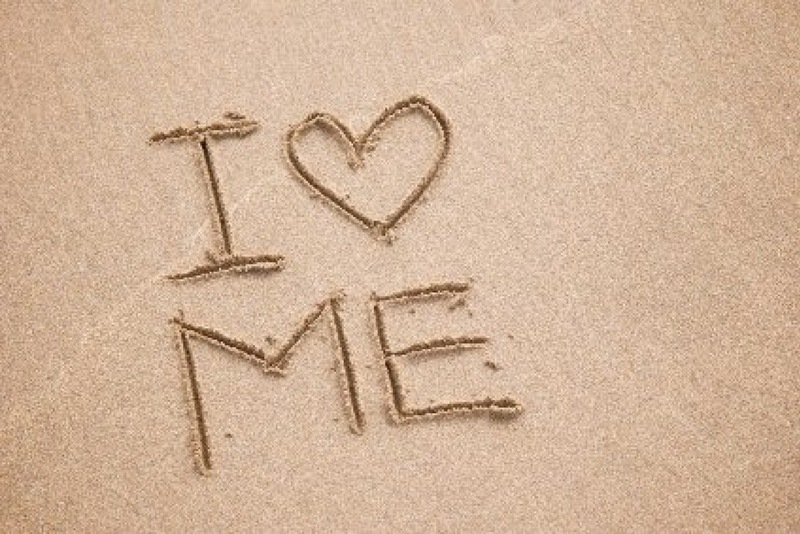 Usually here in the west, if one is angry at oneself then it is understood as ‘I don’t love myself’. If you are angry at others that means you don’t love others, no. Love is there, you should never question it. Love gets distorted when there is no knowledge. With knowledge, it remains pure. When love gets distorted it becomes anger. You love perfection and so you get angry. You want things your way and so you get anger. When you love objects, that is greed. When you love yourself too much that is possessiveness! This is all love coming forth as emotion. So, if you love yourself just relax in peace, don’t be hard on yourself. 2. When one feels, ‘Oh, I’m so righteous, I’m too good, I did so much and see nobody recognizes me, nobody loves me’. Thinking about your goodness you can become hard on yourself, and thinking about your bad qualities you become hard on yourself. In either case, you go off balance. When you think good about yourself you will definitely find bad qualities in others. You will search and find the wrong in others, otherwise you can never feel too good about yourself. Also, when you think others are so good and I’m not that good, I have these negative qualities then you become hard on yourself. In either case, you have fallen, you are not on your bicycle, you are not balancing. Usually we think that people who are hard on themselves are those who criticize themselves. When you praise yourself also you are hard on yourself! When you stick to your good qualities you are hard on yourself, and when you stick to your negative qualities you are hard on yourself. This entry was posted in spiritual and tagged anger, anxiety, astrology, balance, body, buddha, faith, god, grateful, greed, happy, hate, health, inspiration, intuition, karma, knowledge, life, lifestyle, love, meditation, mind, mood, peace, people, prayer, relationship, relationships, sad, selfish, spiritual, spirituality, stories, story, stress, thankful, thoughts, truth, wisdom, work. Bookmark the permalink.